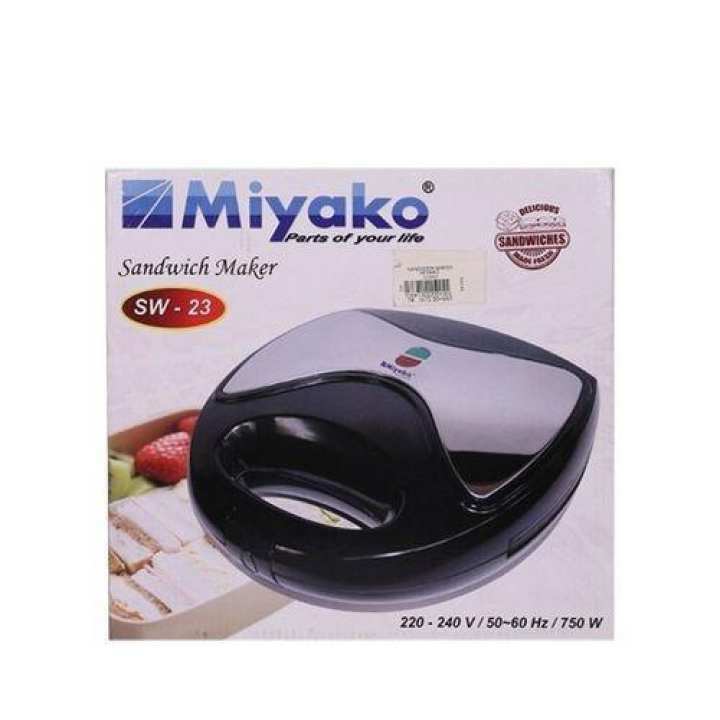 Miyako SW-23 Sandwich Maker comes with a non-stick coating and cool touch handle and body. It also comes with a toasting function with cut and seal option. The Miyako SW-23 Sandwich Maker is a cute product, this product lets you make complete sealed sandwiches in a single round. It is an excellent product which comes with a cool-touch handle for safety, so that you don’t burn your hands. The plates of the toaster are Teflon coated which heats up quickly and makes your toasts faster and also becomes much easy to clean it. The Sandwich Makerhas two indicators, one for Power On and other for sandwich Ready indication. It also has an inbuilt safety fuse and thermostatic control system which makes it all more efficient. Perfectly toasted sandwiches anytime with this hi-temperature, hi-power sandwich maker with cut and seal plates to seal ingredients inside. Easiest to use with easy lock system and easiest to store with vertical compact storage option.